Microfluidics is the handling and dealing with small quantities (e.g., microliters, nanoliters, or even picoliters) of fluids flowing in channels the size of a human hair (approx. 50 mm thick) or even narrower. Fluids in this environment show very different properties than in the macro world. This new field of technology was enabled by advances in microfabrication—the etching of silicon to create very small features. Microfluidics is one of the most important innovations of biochip technology. Typical dimensions of microfluidic chips are 1-50 cm2 and have channels 5-100 mm. Usual volumes are 0.01-10 mL but can be less. Microfluidics is the link between microarrays and nanoarrays as we reduce the dimensions and volumes. Microfluidics is the underlying principle of lab-on-a-chip devices, which carry out complex analyses, while reducing sample and chemical consumption, decreasing waste and improving precision and efficiency. The idea is to be able to squirt a very small sample into the chip, push a button and the chip will do all the work, delivering a report at the end. Microfluidics allows the reduction in size with a corresponding increase in the throughput of handling, processing, and analyzing the sample. Other advantages of microfluidics include increased reaction rates, enhanced detection sensitivity, and control of adverse events. • Difficulties in microfluidic connections. • Because of laminar flows, mixing can only be performed by diffusion. 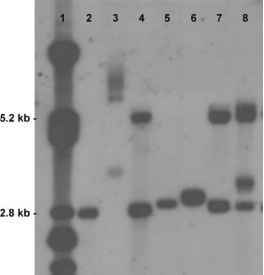 • Gene expression and differential display analysis.